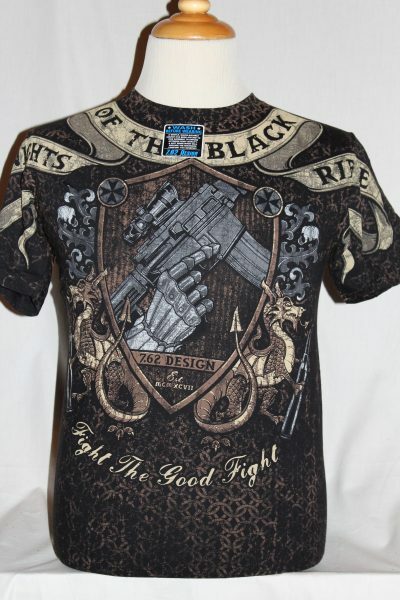 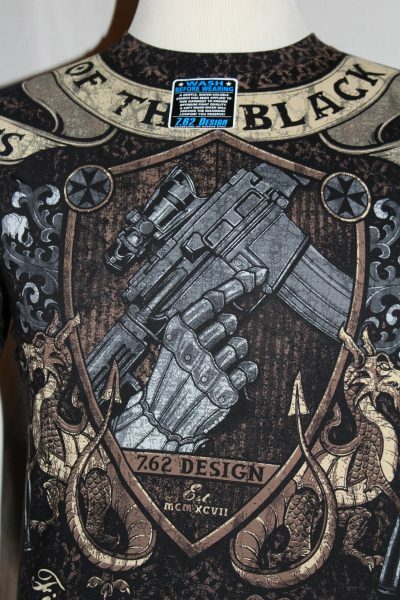 The Knights Of The black Rifle is a two sided jumbo print shirt in black. 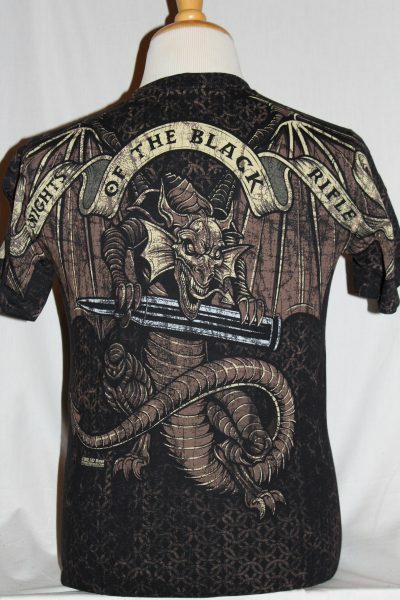 Front Design: AR15 surrounded by a shield in colors gold, silver, and brown colors. 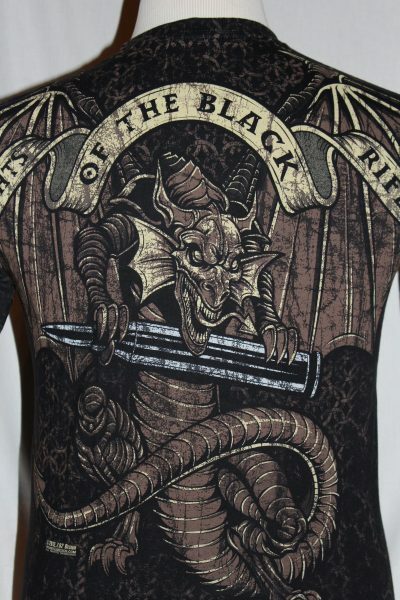 Back Design: Image of a winged serpent, with colors gold, silver, and brown.